Single-family homes are the most common type of residential property, and the most common type of real estate found in self-directed IRAs. These properties can be the key to both short-term and long-term retirement strategies, with tenants bringing in regular rental payments to help boost savings. Multi-family units, such as apartments or condo complexes, are similar to single-family homes in that they can bring in regular rental income; however, because multi-family units are larger and bring in more tenants, they have greater potential to boost your savings. They can also require more maintenance, on the other hand, so be sure to consider all the angles before choosing an investment opportunity. From retail to office buildings, it’s all possible. If your self-directed IRA doesn’t have enough cash for these types of investments, your IRA can even apply for a non-recourse loan or partner with other funding sources. Commercial property is a broad category of real estate investments which includes anything from a grocery store or an office building to even a baseball field. This type of investment is another way to generate rental income over the long term. 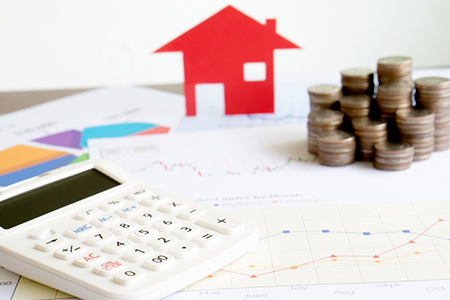 An indirect way to invest in real estate with a self-directed IRA is by funding mortgage notes. You could use your savings to be a real estate lender and help others purchase homes while also bringing in a profit for yourself. You set the terms of the loan, including time frames and interest rates. The payments will go directly to your retirement account. Undeveloped land offers great potential, acting as a blank canvas for investors to build their dreams. While this may not be a great choice for generating immediate rental income, these properties can be developed to produce a profit, sold to developers at a profit, or even sold to the government for use by the state. There are many benefits to investing offshore with an IRA. There are also things to consider, such as performing the proper due diligence and educating yourself not only on the tax laws in the United States, but the tax implications and transaction process in the country where you are investing. The U.S. government has created laws regarding offshore investing. For more information, consult a financial professional or tax advisor about real estate transactions and banking outside of the U.S. If a property has been foreclosed and taken back by the bank, it is referred to as real estate owned, or REO. In today’s real estate market, your Real Estate IRA can take advantage of purchasing distressed properties. Some real estate investors buy at foreclosure auctions; others buy REO properties directly from the bank. Have the property inspected by a professional to determine condition, as many REOs are sold “as-is.” You want to avoid any surprises. A self-directed IRA provides the opportunity to save money for the future on a tax-deferred or tax-free basis. They also allow you to benefit from a variety of alternative investments not available through traditional retirement accounts. Are you ready to grow your business by giving your clients more investment opportunities? Would your clients jump at the opportunity to invest in real estate tax free? Learn more about how self-directed IRAs can help you grow your business. Before you invest in this business sector using your IRA, it is best to consult with your investment, legal and tax advisor. Entrust does not endorse or recommend any of these investments. Proper due diligence by you, the IRA holder, is recommended before entering into any transaction.